Years ago I was at a pastors’ conference where one of the speakers had the dubious nickname, ‘The Prophet of Prosperity’. After hearing him speak I was certain they had misspelled ‘prophet’ and they meant to use the more apt alternative ‘profit’. In his ‘sermon’ he described the quality of his suit and shoes, along with an elaborate explanation of the importance of a $10,000 diamond tie pin, and then he spent the rest of the message talking about his car… which was a Rolls Royce. You know, the luxury car that the Queen of England pulls out for special occasions. After describing the burlwood dash and aluminum body panels he made this bizarre statement, “Where do you think a design for a car like this comes… the pit of hell?” …suggesting of course that anything so beautiful could have only come from heaven. His text was 1 John 4:17 “…as He is, so are we in this world”. His thesis was that because Jesus would drive a Rolls Royce in heaven, we therefore should do likewise on earth. I AM NOT MAKING THIS STORY UP! 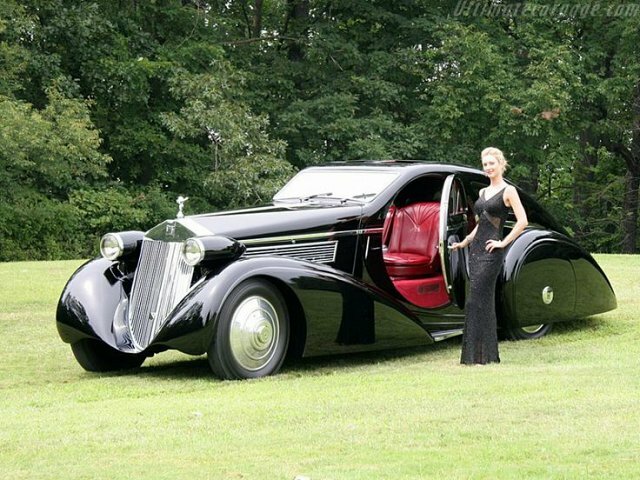 Though a priceless 1925 Jonckheere Rolls-Royce Phantom l Aerodynamic Coupe (below) may be the coolest car ever, it was actually built in Belgium not heaven. First off, he absolutely butchered the hermeneutic of the scripture, and used the verse completely out of context. John is specifically and definitively talking about love, not cars or things. In other words, as Christ loves us, we should love one another, because as He is, so are we in this world. Not complicated stuff. Nevertheless after 30 minutes or so of this I was tangibly aggravated and ready to spit, gag or maybe even throw up. He knew he had provoked a few of the more thinking people in the crowd (the mindless lemmings were already shouting ‘Amen’.) Then he made this statement. “Some of you are thinking, ‘Show me a scripture that says Jesus drives a Rolls Royce.’ I say to you, ‘Show me one that says He doesn’t'”. (Did I mention that I am not making this up?) At this point I did something I have never done before or since, and hope I never do again. I stood up and in a spirit of righteous contempt said, “The scripture says He rides a white horse” and walked out of the meeting. Because there were 2000 people in the room, and I didn’t shout it, the speaker most likely didn’t hear me, but those around me did. In retrospect, I am glad I didn’t say it louder and make a scene as it wasn’t my place to correct him publicly. There was no need to add my insolence to his arrogance. Jesus hasn’t always driven a white horse (Rev 19:11). While He was stationed on earth most of the time Jesus walked. This chosen mode of transportation once caused Him to be four days late for a friend’s funeral (John 11:17). Maybe His Rolls was in the shop. “Show me a scripture that says it wasn’t!” (Sarcasm) On the rare occasion when He did need a proper vehicle He rode a donkey (Matt 21) and… it was borrowed. Today I realize how that moment in my life has affected my values. I actually really enjoy cars. I have been to many car shows, read the magazines and I am a big fan of the Tesla Model S P85 D that can do 0-60 mph in 2.8 seconds in their appropriately named ‘Ludicrous Mode’. I could engage in an educated discussion about cars with any auto aficionado, but I have never owned anything but high mileage mini vans. I drove my last one to 450k before it got donated to Teen Challenge and my current one is just shy of 300k. People in our congregation sometimes see me in my van and instead of waving they point and laugh. For the record, I am paid well enough I don’t need to drive a 15 year old vehicle. I think it is a bit of an overreaction to my above stated encounter with the Profit of Prosperity. I think I was just so disgusted that I never wanted to be identified with that kind of avarice. There are a few sins in the Western church we have somehow convinced ourselves that they are virtues not vices. Greed is certainly among them. South of our border some preachers have taken the American dream, wrapped it in the gospel and have convinced millions that God’s will for their life is to be rich, fat and happy. 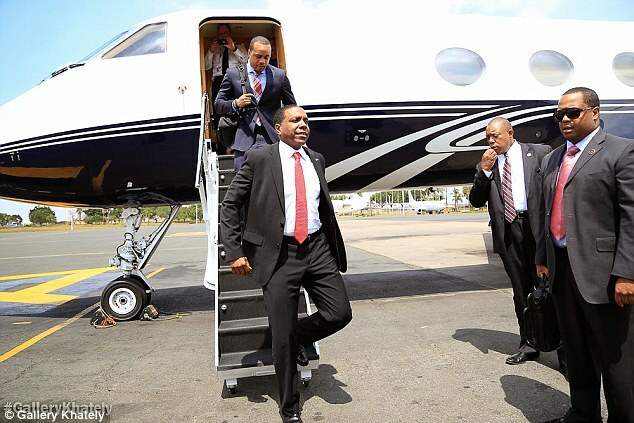 Recently Creflo Dollar, whose mantra is,” God didn’t call me Dollar for nothing” sent a letter to his partners asking of them to donate $300 each so he could buy a $65 million Gulfstream G650 plane. 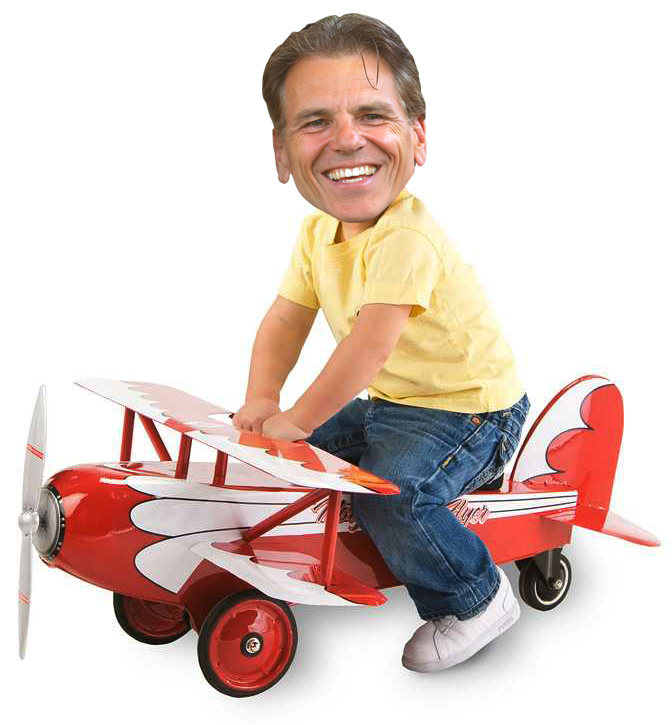 I guess he banged up his current jet on a botched landing. The G650 is the latest and greatest in the world of private jets and is flown by multinationals like Walmart and Exxon. Billionaires like Warren Buffet and Oprah Winfrey were on the waiting list. It cruises at 700 mph and is the ultimate in luxurious private jets. Somehow our brother Creflo felt is was necessary for him to join the in-crowd of the ultra rich. By the way Creflo doesn’t own a Rolls Royce… he owns two of them. At any rate the Christian community, to their credit, did not respond favourably to the campaign and it was quickly withdrawn. That is not to say the good Reverend Dollar will not get his jet, he will. His Board announced that they were going to take the $65-70M out of petty cash and buy the deserving humble servant of God his plane anyway. I don’t think it is unkind or critical to ask the question; Is this really necessary for the furtherance of the gospel? Is there really no other way for the Reverend to shuttle his entourage between his congregations in Atlanta and Brooklyn? Should pastors, even highly successful ones, be living the same lifestyles as movie stars or rap artists? 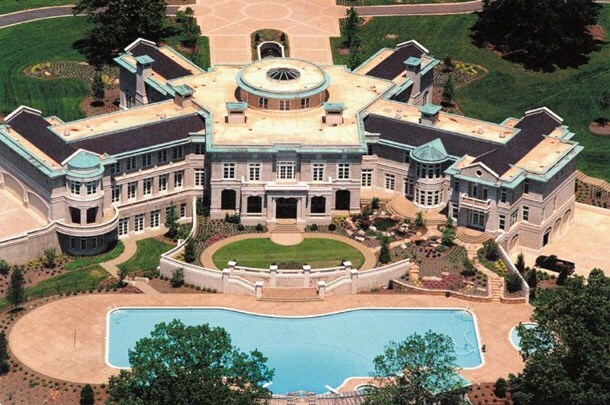 This is his house in an ultra exclusive neighbourhood of Atlanta. Is there any way for us to even imagine the earthbound Jesus driving a Rolls, flying a private jet or living in a palatial mansion? 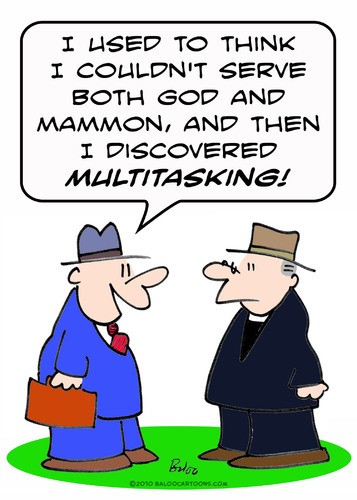 Matt 8:20 answers the question. “And Jesus said to him, ‘Foxes have holes and birds of the air have nests, but the Son of Man has nowhere to lay His head. '” I am not suggesting that none of us should own cars or houses or even a plane for that matter. In the interest of full disclosure my Board wanted to buy me a plane and I accepted. I am still learning to pilot it and yesterday I crashed it right into the couch. I personally will never be able to live up to the example of Jesus’ minimalist earthly lifestyle. After all Jesus didn’t have children he needed to drive to soccer games. If you are even four ‘minutes’ late your kid won’t play. (Soccer and mini vans go hand in hand. It’s the world I from which I come.) Jesus also didn’t have to pay their swimming lessons and their band trips and put them through university etc. We have to live life as it is. We can’t really opt out of the rat race. And if you drive a nice car, I would never judge you for that. I might actually be a little jealous. We have a red Jaguar that frequents our parking lot Sunday morning that always catches my fancy. No, my big beef is with churches that offer up materialism as a virtue instead of a vice and with Christians that are running to them instead of a running away from them. 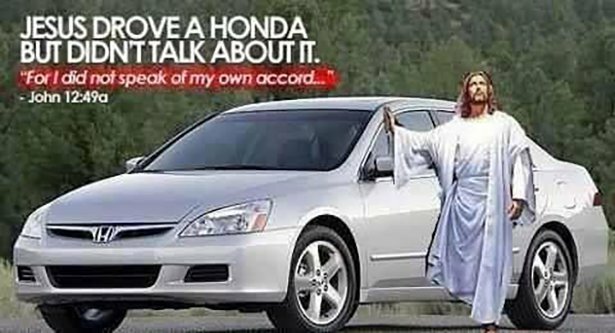 Next time you get the urge to buy something you really don’t need and really can’t afford, just do what I do and ask yourself the question, what would Jesus drive?